Catharsis is the explosive release of deeply troubled, deep-rooted, states of suffering within us. Outbursts of crying, rage or "tantrums" are common examples, but so also is spontaneus belly laughter - see these Laughter Yoga Videos. Liz Curtis Higgs has an excellent compilation of true-life stories on Humour and Healing including a chapter on "Humor as a Stress-Reliever". Catharsis may manifest in primarily emotional, verbal, spiritual or physical forms, but in essence is an holistic experience involving all 8 Levels of our nature. Heartbreak, Soul-Loss & Inner Demons! From Yearning, Longing or Unrequited Love to Healing & Fulfilment! Why do We "Bottle-Up" our Emotions and Impulses? Although it is very healthy to be naturally self-expressive and spontaneous, there are many situations where our emotions and impulses are unhelpful, inappropriate, embarrassing, or simply produce negative reactions and consequences. As young children we were initially very natural and spontaneous in expressing our suffering, disappointment or frustration, but over time learned that this did not always works in our interest [e.g. destructive feelings] or was not always acceptable to those around us. So we learned to hold in certain feelings - especially potentially DESTRUCTIVE or TOXIC feelings - to hold them in temporarily [Emotional Control, Impulse Control] or to DENY or REPRESS them on a long-term basis. Emotional Control+Management and Impulse Control+Management are important lifeskills - part of adapting to social norms, developing interpersonal skills, being practically effective in the world and forming responsible and nourishing relationships. Deliberate "Bottling-Up" of Emotions and Impulses! Emotions and impulses are powerful DNA-drive energies, developed over millions of years of evolution and threats to survival. Sometimes human beings hold onto 'negative' emotions and violent impulses because they are potentially Self-Protective, or can be used on a future occasion to Bully or Harm others. 'NEGATIVE ENERGIES' may also be held-in/held-onto because of their ability to create desired interactions with others, as in "birds of a feather flock together" [angry people attract angry people] or "misery loves company" or they may be used to exploit the good nature of others by attracting 'rescuers', 'supporters' or 'sympathisers'. Vitality, Health, Social & Wellbeing Consequences of "Bottling-Up"
Health Problems: due to local tissue effects of held-in DESTRUCTIVE/AGGRESSIVE or TOXIC emotions - especially those that constantly accumulate year in, year out, because of learned life-patterns of emotional/impulse repression. Health Problems: We can only speculate about the range of destructive or toxic tissue and organ diseases that may be triggered or enhanced over time! Blood Pressure Problems: emotions such as anger, rage and depression can have profound effects on blood pressure. Recurrent holding in and accumulation of unresolved frustration, rage or anger can therefore be a trigger factor for hypertension. At a certain point raised blood pressure starts to damage its own physiological regulation mechanism and the condition has then become pathological. Immunity Problems: the science of PsychoNeuroImmunology has repeatedly demonstrated how our emotional life affects the functioning of our immune system - this can take the form of immune-suppression [as in depression] or immune system overactivity [as in allergy/hypersensitivity/intolerance] or maybe even autoimmune disease, where repressed and accumulated, self-attacking, toxic emotions such as self-hatred and guilt might conceivably play a part in the complex dynamics of the immune disorder? Mental Health Problems: escaping the reality of our feelings [dissociation] is a building block of psychosis and schizophrenia. Mental Health Problems: denial of powerful emotional truths requires a powerful cognitive component - does this reality-blocking play a role in Senile Dementia or even Alzheimer's Disease? Relationship & Social Problems: an accumulation of held-in toxic emotions and impulses is like a grenade that could explode at any time. So what we see is that folks who carry a lot of EMOTIONAL BAGGAGE tend to be particularly reactive or hypersensitive to TRIGGERS that effectively can pull the pin out of an accumulated 'emotional grenade'. Mobility & Orthopaedic Problems: for example the toxic emotion we call 'anxiety' produces immediate tension, rigidity, jerkiness and [self-protective] contraction in the musculoskeletal system. If the energy of anxiety is fully and effectively dissipated, we quickly return to a state of soft, relaxed and flexible muscles, tendons and ligaments, with balancedposture and flowing movement. If anxiety is not released, stiffness, contraction and imbalance will persist. The effectiveness of Myofascial Release and Therapeutic Massage is partly due to their ability to bring disconnected emotions and trauma-memories back into awareness and release. Take the excess top off Your Anger before Expressing It! In itself, catharsis is not necessarily healing, the therapeutic benefits may be purely temporary, it can even be counter-productive if occurring at the wrong time or place. However, in the right circumstances, catharsis provides an opportunity to experience and transform deeply-troubled or repetitive life experiences. A lot depends on the setting in which cathartic release occurs and the degree of post-cathartic TLC [tender, loving care] - from self or others - that is available. A sense of isolation is a common comonent of suffering and trauma, so group-supported, co-catharsis, co-healing is generally the most powerfully-healing form of cathartic release. Generally speaking, the release of bottled-up feelings and tensions is a goood thing, but there is a small risk of what I call "Hysterical Catharsis". In 'Hysterical Catharsis' you may for example start crying, but instead of the usual sense of clearing and emerging peacefulness, you just cry and cry and cry. The Crying has become a bottomless pit of despair! Going there, just makes you feel worse and increasingly helpless and hopeless. The same can happen with ANGER - you just rage and rage and rage, but there is no relief - your anger is a bottomless pit! The reason why distress becomes a bottomless pit is that it is coming from a place of self-delusion. Healthy emotions come from genuine, 'real' experiences. A 'real' traumatic experience had an 'impact energy' which became transmuted into distressed emotion which can be released to allow a natural self-healing journey back into the old 'grounded bottom line' of wholeness. In Hysterical Catharsis, on the other hand, there is a 'false memory' twist to the trauma story, which arises from a personality fragmentation and reassortment, in which a "Survival Self" is created and a former part of the survivor's self-identification [truth] has become disconnected. In Shamanic Healing this is termed "SOUL-LOSS". The consequence of this is that catharsis just keeps leading the client back to an 'untrue' place of mis-perception and mis-self-identification, and hence to yet more distress. Hysterical Catharsis easily results in re-traumatization, so facilitating catharsis is not something that should be undertaken by inexperienced, enthusiastic amateurs! 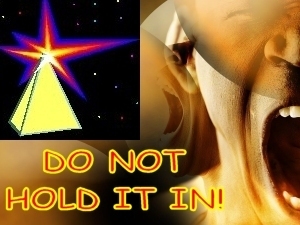 HARNESS THE TRANSFORMATIONAL POWER of CRYING! Catharsis can be a powerful tool for accessing and clearing deeply-troubled or repeatedly-accumulating life experiences. As the deeply-held energy is released, there is momentary access to the painful wound that underlies our dis-ease. There is an opportunity to become aware of what the wound is about and when, where and how it originated. There is also an opportunity to understand what keeps the wound active - what repeated patterns are maintaining it or preventing it from healing. After a cathartic release, there is a brief window during which the sufferer is especially open to simple healing experiences and these experiences are especially powerful in over-writing old body-memory experiences of suffering or trauma. Simple "TLC" 'healing treatments' after catharsis include receiving compassion, self-compassion, unconditional love, self-love, caring, self-caring, empathy. The healing effects are potentiated in group catharsis situations, where all group members encourage and support each other in cathartic release, then care for each other, with minimal intervention, during the moments of post-cathartic reccovery. What are the Benefits of Cathartic Healing? 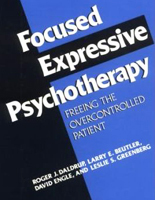 Focussed Expressive Psychotherapy - Freeing the Overcontrolled Patient! The first practical book from an experiential perspective to deal explicitly with blocked emotions ['affect']. Based on the authors' extensive clinical experience focused expressive psychotherapy (FEP) is shown to be suited for the many over-controlled patients mired in unfinished emotional business. What experiences can Catharsis help with?